Development of the jet engine in Germany began and progressed in parallel with work on gas turbines taking place in Britain during the mid-1930s. By the end of the decade, however, the Germans had moved much more decisively to realise the new powerplant’s potential. The German government encouraged all of the country’s major engine manufacturers to begin work on jet engine designs and as a result, despite the technological challenges involved, BMW, Junkers and Heinkel made significant progress during the early part of the Second World War. At the same time, pioneering work on rocket engines and gliders carried out during the late 1920s and throughout the 1930s was also coming to fruition. By 1944, just as the war was reaching its tipping point, a whole host of interrelated aviation development programmes began to pay off. The extensive and tortuous development of the Messerschmitt Me 262 jet fighter had come to an end, as had the bringing together of aerodynamicist Alexander Lippisch’s ‘bat wing’ gliders with rocket pioneer Hellmuth Walter’s powerful engines, resulting in the Me 163. Both machines were at the cutting edge of what was possible with 1940s technology – but neither was capable of meeting the Luftwaffe’s operational requirements as the nature of the aerial threat facing Germany continued to evolve. 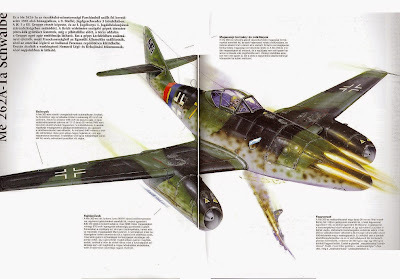 The Me 262 arrived too late to operate as a fighter-bomber over the Normandy beaches as Adolf Hitler had himself envisioned, and the Me 163 arrived too late and was too flawed to be an effective bomber interceptor – the role to which it eventually seemed most suited, though it had not been designed as such at the outset. The third successfully realised design, Arado’s Ar 234, was highly capable as a reconnaissance aircraft but again arrived too late to have any impact. In its other role as a bomber it carried only a small payload – useless for inflicting the mass on-the-ground destruction needed at this stage of the war. So by early 1944 the Luftwaffe had, or nearly had, three viable jet and rocket aircraft that were largely incapable of doing what was needed – intercepting the RAF’s high-flying de Havilland Mosquito reconnaissance aircraft, inflicting severe damage on the Eighth Air Force’s daytime bomber fleet, locating and destroying the RAF’s night bombers, and after the D-Day invasion, combating Allied fighter-bombers at low altitude. The Me 262 could just about manage day bomber interceptions but the night bombers and fighter-bombers had to be left to piston-engine machines. And nothing could touch those Mosquitos. New aircraft were urgently required that could successfully carry out at least one of these missions, if not all four. There was a fifth requirement too. 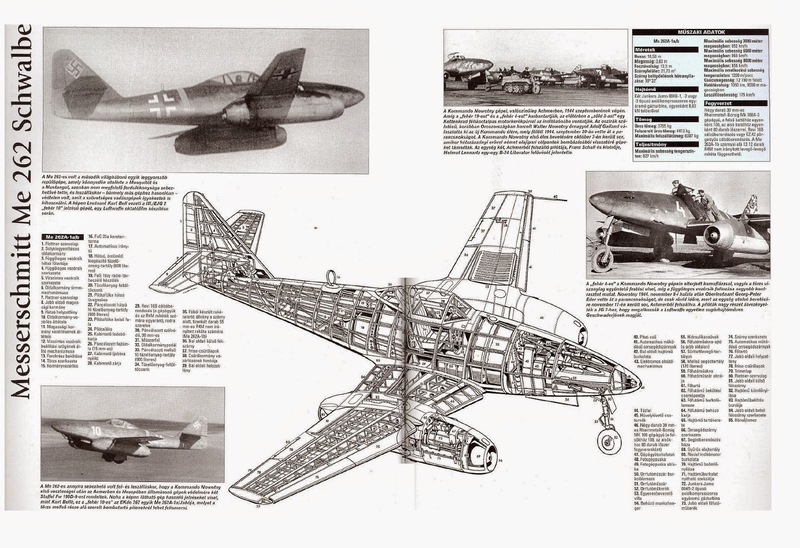 The Me 262 needed two jet engines – resulting in twice the cost and twice the trouble to both produce and fly it. It also made use of expensive materials that were in short supply, as did the Me 163. New aircraft designed to meet the other four requirements would need to be made as cheaply as possible and from ‘non-strategic’ materials too, this last being mostly a euphemism for wood and glue. Fortunately, Germany had already spent more than a decade developing the greatest concentration of aviation research and development facilities the world had ever seen. There were no fewer than 63 wind tunnel facilities in operation – 14 at universities, 39 at aeronautical research centres and 10 belonging to individual firms. There were even another 15 in occupied countries to which the German firms had access. Nineteen of the overall 78 wind tunnels were suitable for use in high-speed flight research. Across the industry, the number of personnel involved in development work increased from 7000 in 1943 to 8000 by 1945. In addition, the budget for aviation research and development soared from 340 million Reichsmarks in 1943 to 500 million RM in 1945. At the same time, a new organisation formed in March 1944, the Jägerstab or ‘Fighter Staff’, was in the process of ruthlessly reducing the number of different aircraft types being produced by Germany’s factories – freeing up production capacity and focusing efforts on the materials and tooling required for manufacturing fighters, rather than bombers. Given this tremendous accumulation of resources, there was every reason to believe that the new fighters so desperately needed by the Luftwaffe could be produced in record time. However, there were still serious doubts about whether jet engines were actually the best way forward. Was there still life in the Otto engine yet? Otto being the contemporary German way of referring to the piston engine, after pioneering German inventor Nikolaus Otto. Three days after being appointed chairman of the Entwicklungs Hauptkommission Flugzeuge, a new committee intended to centralise and direct development of aircraft, Luftwaffe chief engineer Roluf Lucht stated: “On the basis of the aforementioned advantages and disadvantages, the single-engined pusher-propeller Otto fighter, which can perform the role of the Do 335 at approximately half the cost, is very economical for use against bombers at all heights. “It is equally suitable for deployment against enemy Otto fighters at all altitudes. Thanks to its endurance the Otto fighter is the type most suited to protecting any given area of airspace. And due to its economical cruise capability, the Otto fighter performs better at all heights in bad weather and blind-flying conditions than would a jet-powered aircraft. “Furthermore, it is the most suitable fighter for operation in greater numbers when circumstances call for massed formations. In our opinion, and in the light of the above, the Otto fighter at its most advanced stage of development with pusher propeller is indispensable for aerial defence duties above and behind the front lines. The aircraft companies themselves, however, were convinced that there was little left to gain from continued development of piston engine aircraft, pusher or otherwise. At a meeting of Lucht’s committee on December 19-20, Willy Messerschmitt declared that his company would no longer be involved in any piston-engine fighter projects, with the exception of supporting the Bf 109 until its imminent replacement on production lines. As far as jet design was concerned, the first competition was a two-horse race between the Me 262 and the He 280 beginning in January 1939. Both were entirely dependent on the development of sufficiently reliable and powerful engines – which only became available, in the form of the Jumo 004, in July 1942. At the same time, great effort was being expended on developing Germany’s piston-engine fighters such as the Fw 190 and its intended replacement, the Ta 152, and the Bf 109 and its various potential successors, such as the Me 209, Me 309 and Me 155. The next jet competition was not until early 1944 when the requirement for a cheap short range interceptor was issued – the Verschleissflugzeug. Next came a contest for an interim jet bad weather and night fighter, then the 1-TL-Jäger (single jet fighter) competition. These were all begun in a timely fashion, with tenders being requested and designs submitted. Then all three were leapfrogged by the Volksjäger requirement – for which speed of design and production was everything. Finally, there came a requirement for a definitive state-of-the-art bad weather and night fighter in January 1945. In addition to these five competitions, the major companies came up with numerous private ventures – entrepreneurial bright ideas which, it was hoped, would attract a development contract to at least explore the technology involved. There were also smaller companies and individuals that participated on unique terms. Particularly noteworthy among these were the Horten brothers, Me 163 designer Alexander Lippisch and Eric Bachem’s Bachem Werke. The designs of these ‘outsiders’ were given serious consideration at the highest levels alongside those of the large firms. It has been stated time and again that the German aircraft designers were deluded – that the war was clearly lost by 1944 and that working on a great diversity of designs was a waste of valuable time and resources. There should have been a concerted effort to produce the Me 262 in greater numbers, it is argued. Indeed, this particular point was advocated by many ex-Luftwaffe pilots after the war. Alternatively, some have speculated that the German designers, realising that the war was lost, created designs they knew could never be realised by their own nation in the hope of buying themselves a degree of favour with the victorious Allies. Total time taken: Around five years. Total time taken: Two years, eight months. Total time taken: Five to seven months. Both of these views are strongly coloured by hindsight. Even at the beginning of 1945, the Allies had yet to penetrate the borders of Germany itself – the final collapse, when it did come, came swiftly. The overall state of the Reich’s ground defences was largely unknown to the aircraft firms in 1944. In addition, it was impossible to tell what effect the V-1 and V-2 missiles were having. Could these non-Luftwaffe aerial terror weapons serve to halt the Allies? Or even persuade them to sue for peace? The Germans also believed the Western Allies would, sooner rather than later, realise that the Soviet Union was the real threat and join forces with them to oppose the Red Tide sweeping in from the East. If some sort of deal to oppose Stalin was worked out, the Luftwaffe would need new aircraft to oppose the communists. As for the designers’ work, throughout 1943 and 1944 it was considered entirely possible that a breakthrough in engine design and production might finally deliver the powerplant’s necessary for reliable high performance jet aircraft. It always seemed as though such a breakthrough was imminent, and the fact that it wasn’t could not have been guessed at the time. In addition, although multiple advanced designs were worked on, very few actually reached the stage where any significant amount of manpower would be required to make them a fully functioning reality. Surviving documents suggest that a lot more time was spent working through complicated equations relating to aerodynamics and performance, and conducting tests on new construction processes, than was spent actually putting pen to paper and drawing pictures of potential aeroplanes. The German aircraft companies functioned much as their counterparts in other countries did during wartime: they attempted to meet the urgent needs of their nation’s military aviators as quickly and as effectively as possible.